First off, disclaimer: This is mainly throwing out some stuff I tested last night out of my own interest and I know, secondary builds are not exactly optimal to begin with. Also, this may seem like a good bit of rambling, but I thought if I run tests, might as well post results. I mostly wondered, with recent changes to secondaries from AP to HE, how much more viable did this make certain secondary builds. 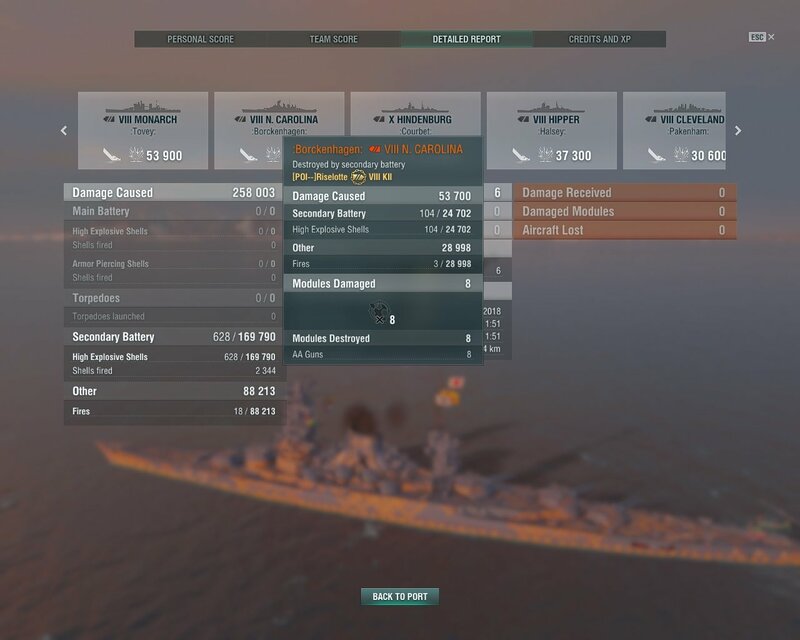 In Ranked Sprint S1&2, I ran an Iron Duke with sec range mod and AFT, to get derpy 6.8 km secondaries that were actually quite effective, when people rushed me on those small maps and Iron Duke back then had the best secondaries of T5 (König had mostly AP), with all those 152 mm casemate-mounted guns that have some silly 12% fire chance. 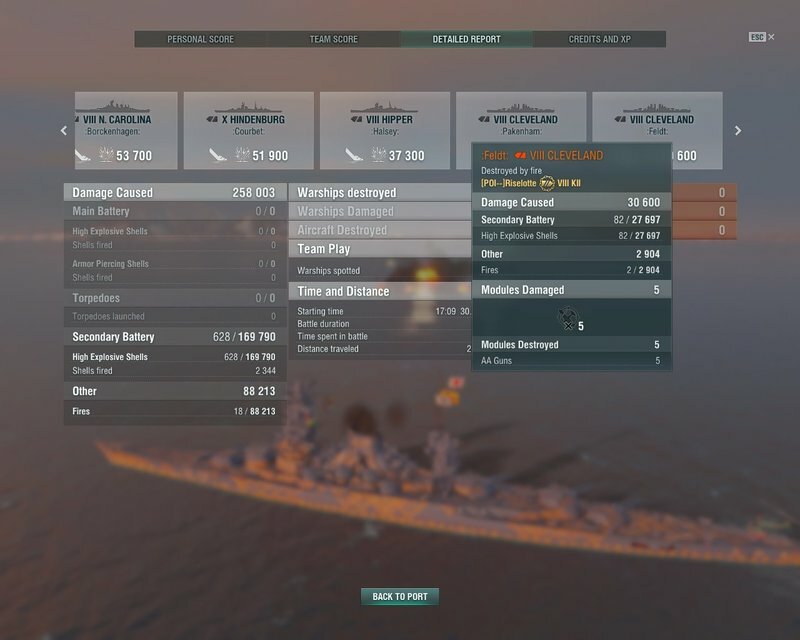 Allowed for setting fires even when you load the decent AP shells and the investment seemed not too crippling (4 captain points for IFHE and not getting -7% to dispersion, but I never found Iron Duke desperately wanting for accuracy). 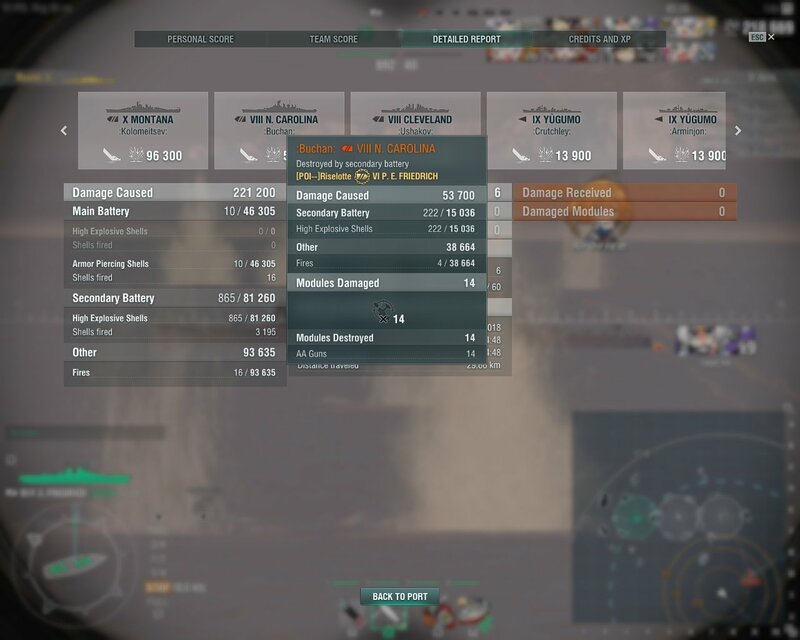 Another ship that I recently got that has decent secondaries would be the Prinz Eitel Friedrich, though I didn't bother going for full secondaries, as I went AA and so I only got 6 km range. And at T6, I'm sceptical about the impact of secondaries at anything but suicidal ranges. Because frankly, the ship can get close and try brawling, but I'd certainly not get close just to get the secondaries off. Or well, more on that in a bit. 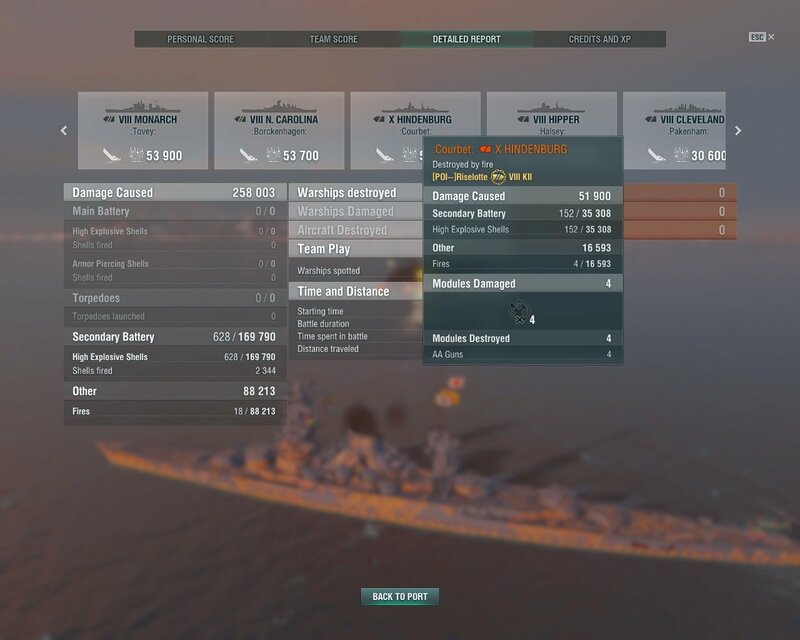 What really interested me, was whether one can get any decent returns from secondary specced IJN BBs. 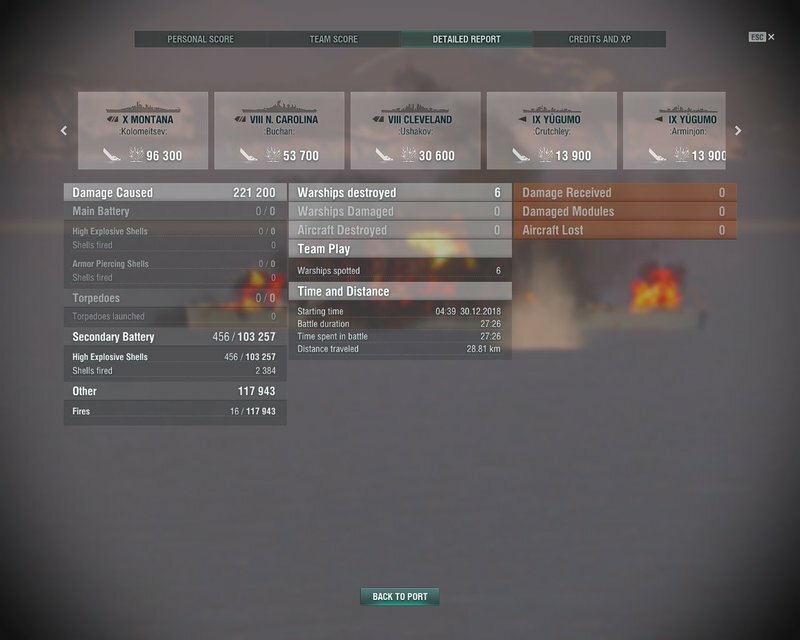 Most are sadly hurting in the range department and only Izumo, Musashi and Yamato have ranges that are decent, while Nagato might be borderline, having decent range for a T7. (Mikasa is the odd case, because the secondaries overall are not great, but watching T2s get shredded for rushing you is the main gameplay reason to buy the thing.) Then, sadly, most of the ship are questionable in brawls, as IJN is among the easiest BBs to citadels as a whole and most rather invest into making Yamato an absolute tank and accurate main battery, rather than investing into a secondary armament that isn't even on par with FdG. Musashi has too few secondaries to be worth it really and Izumo concentrates secondaries in the rear. To be fair though, when specced for it, Izumo and Yamato can shred DDs that get close quite efficiently, as they basically employ Shimakaze guns with decent ballistics, decent HE alpha and while reload is not great, you get two Shimas per side. And 40% of a Mogami. 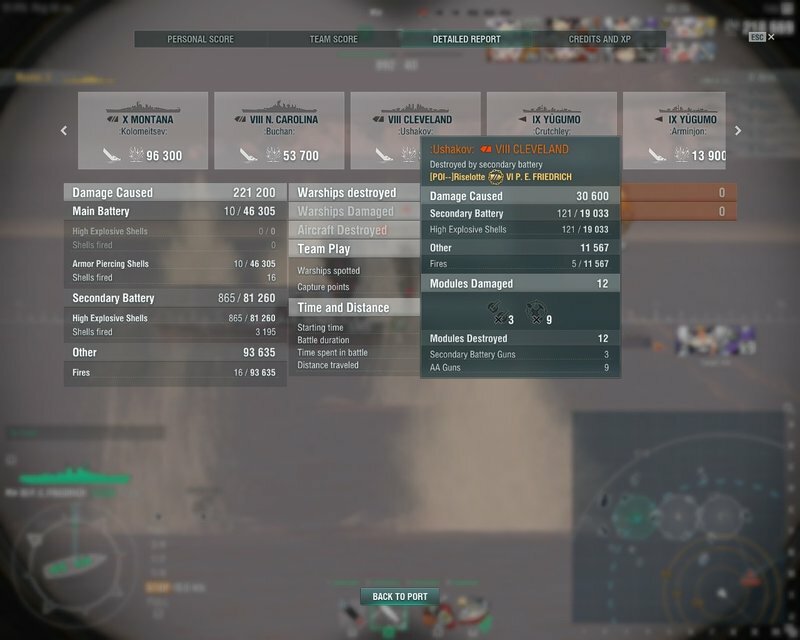 Nagato seems mostly unworthwhile, as you share a tier with two torp-armed BBs and Nagato has a lot of hp, but otherwise isn't anywhere as tanky as you'd want a dedicated secondary platform to be. But 7.5 km range on T7 is actually not bad, with top BBs at the tier in this regard have 8 km. It also has a decent number of guns. 7.5 km range. Frankly, at T8, that's not great. For Kii, with the torps in play, might be more worthwhile, but overall, it seems more of a fun thing when top tier vs T6s or when there's a DD rushing you. Main secondary guns are 14 cm. These guns don't look that bad, given they have an okish rate of fire, IJN-grade enhanced HE alpha and decent fire chance, but the 14 cm caliber means you can't even take IFHE to pen 32 mm plating. Without, they pen 22 mm. 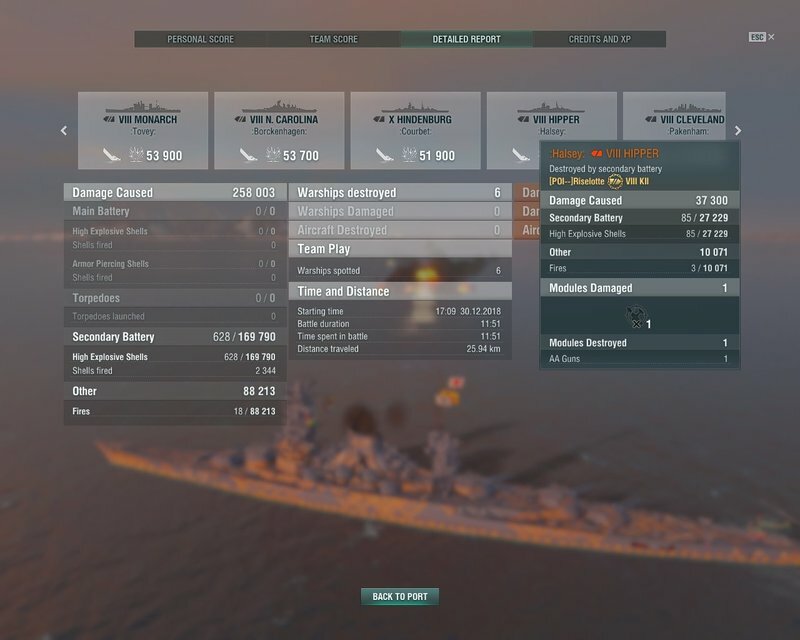 This means with IFHE, these guns can pen hulls of up to T9 cruisers, without they are restricted to DDs and lighter cruisers like Helena or the RN line. On Kii at least, the 10 mm guns turn into some mean dpm vs anything that isn't reinforced plating. To a degree, I wondered whether the change to HE really made the 14 cm guns "better", given 14 cm AP at those ranges might struggle less when making a broadside pass than the HE. But at least they got fire chance. It also dampened my hopes that we'd ever see a proper IJN ship with secondary focus like Massachusetts, as the 14 cm guns pretty much were employed on every IJN BB from the Ise-class onward and only stopped being used on the BB designs leading to Yamato. Which means that Any of the classes still missing (Ise, Tosa, Nr. 13) would feature these guns and would need fantasy refits to feature any of the three IJN secondary guns that actually look useful: the 10 cm/65 Type 98 DP guns (with 1/4 caliber HE pen), the 12.7 cm Type 89 A1 Mod 3 (Shimakaze guns) and the 15.5 cm/60 3rd Year Type (Mogami guns, which have slow RoF, but without IFHE can still pen 25 mm at least and with IFHE pen 32). That thought made me sad. 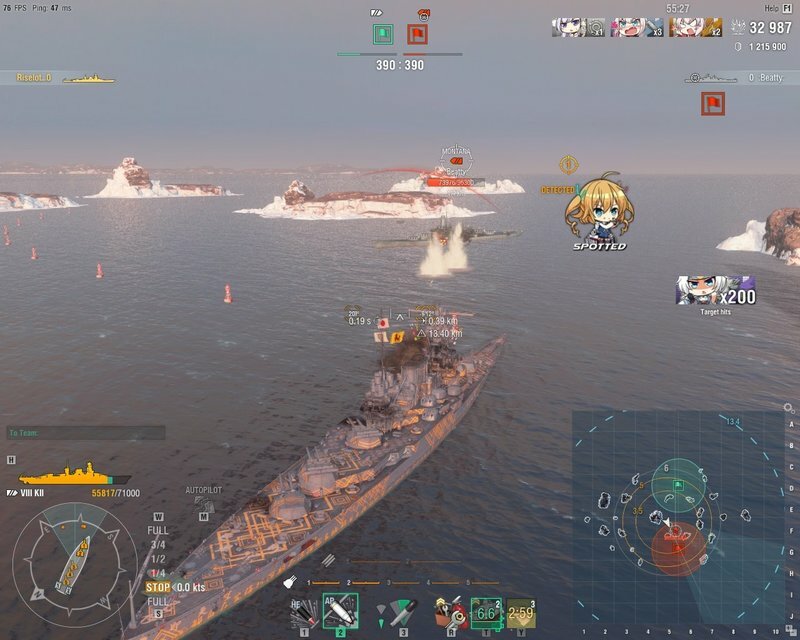 North Carolina: A typical ship you see at T8, one that Amagi could brawl and not be at a disadvantage and it has a mixture of 32 mm and reinforced deck plating. 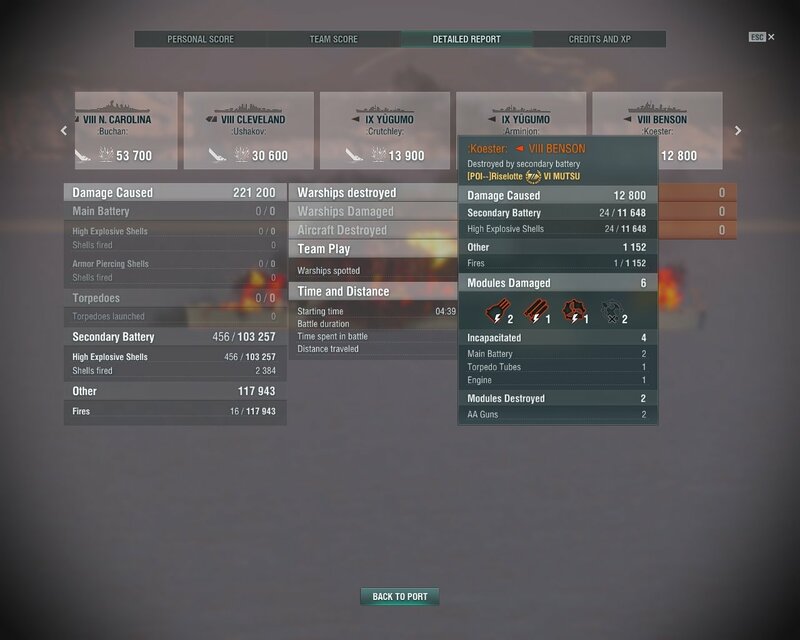 Montana: T8 gets matched vs T10s. See how that fire resistance works out. Cleveland: Normal 25 mm cruiser. Not that I expect anything to be different against 27 or 30 mm cruiser plating. Benson: 19 mm plating bog standard DD. Yuugumo: Two Yuugumos, just for fun, because DDs actually die fast. 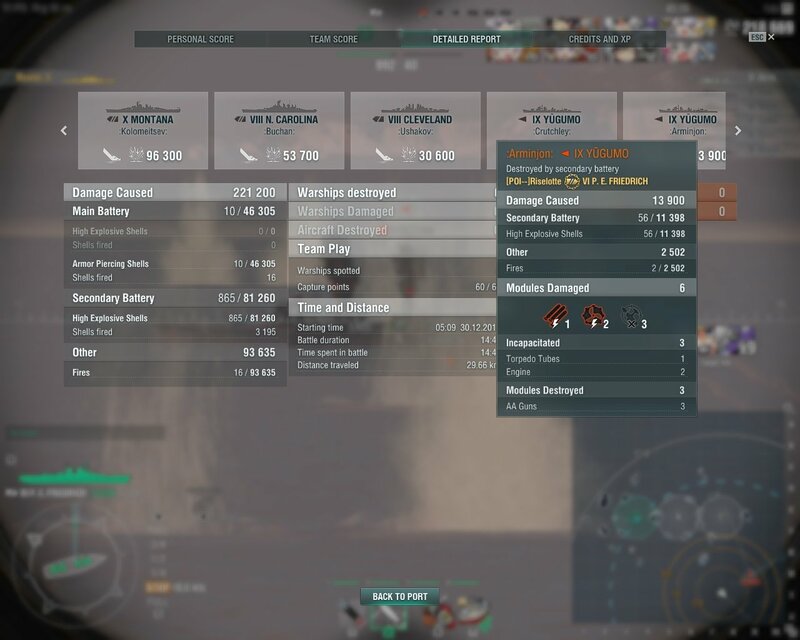 the ballistics on the DP guns is bad. On the 14 cm guns it's pretty good though. They fly somewhat straight, but at 6 km land on superstructure often. 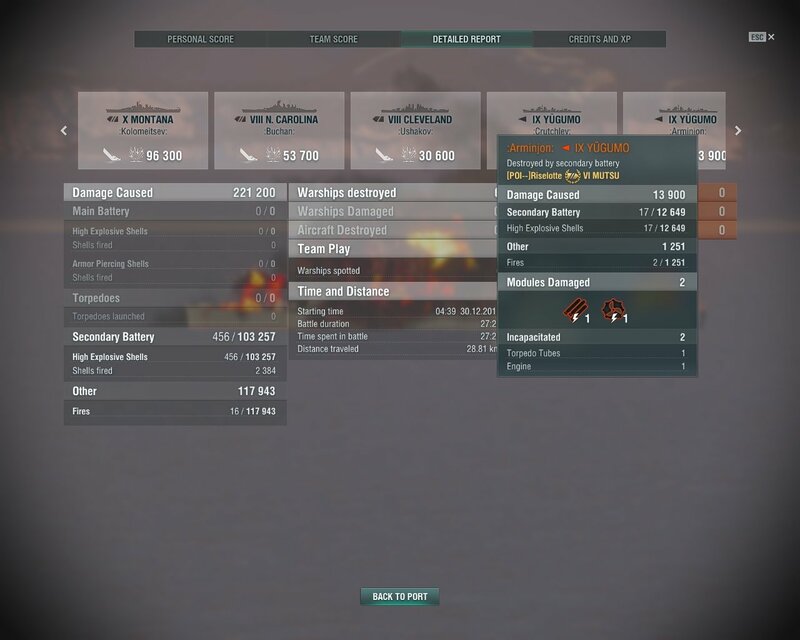 Superstructure pens do mount up to not bad damage totals. 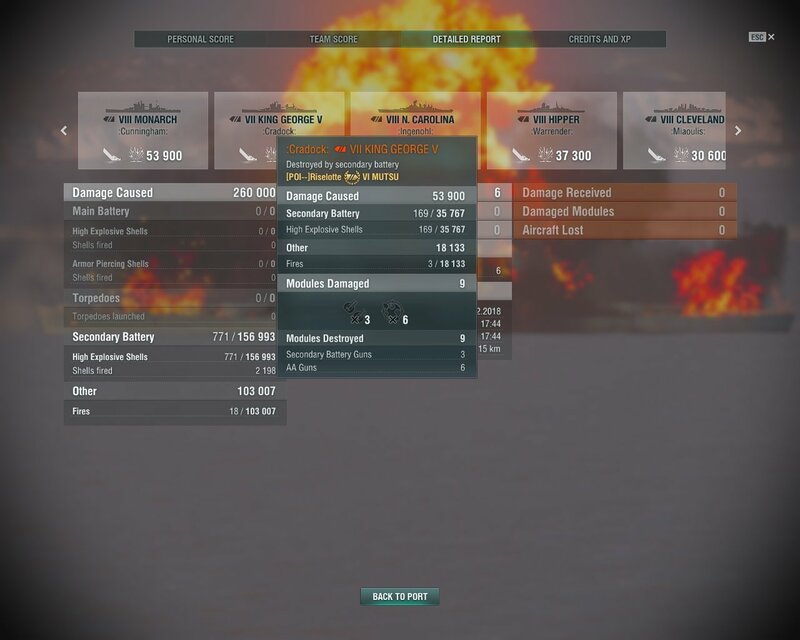 While I'd certainly not recommend thinking you could just secondary farm a Montana in reasonable time (that was like 10 minutes sitting there and waiting for it to die), a 1:2 ratio of direct damage vs fire damage was unexpected. 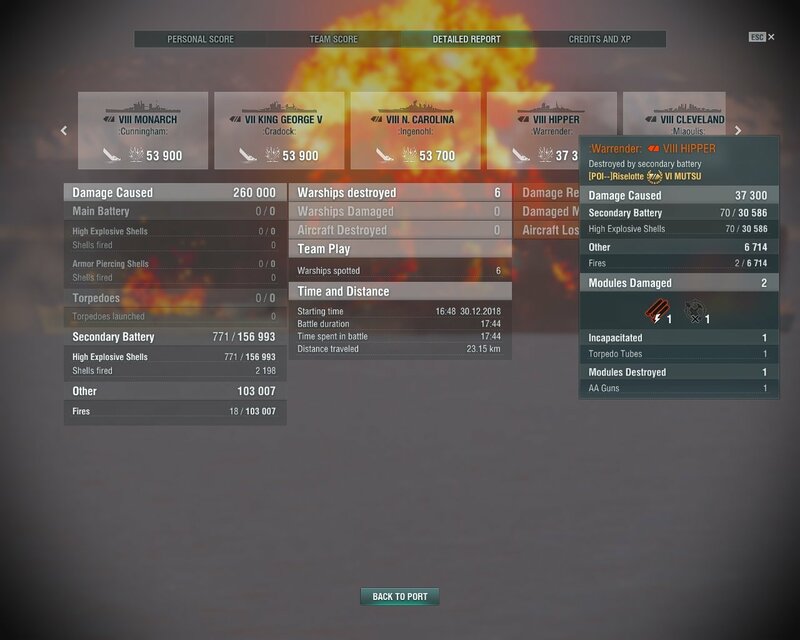 On the downside, that's about 164 damage on average per shell that struck Montana. On NC it's 185 on average. On Cleveland it is similarly pitiful. so, you do wait a good bit of time. DDs get absolutely shredded though. They can set a lot of fires. Now, to see how this works out with a ship that has more direct damage, I tried the same with Prinz Eitel Friedrich, just to observe what it does. Theoretically, these results should actually be comparable to a Bismarck, as both feature around the same number of secondary guns per side of the same calibers. Please disregard Main battery stuff. I just didn't feel like sitting there and waiting the whole duration for that Montana to die. The damage ratio between direct damage and fires did not increase on BBs, but on Cleveland. Given I did try move around the bow for a bit to avoid striking the 38 mm deck too much, this is unexpected. My two main explanations would be that the shell damage is crap on Germans and the 10.5 cm guns that fire rapidly start a lot of fires meanwhile. 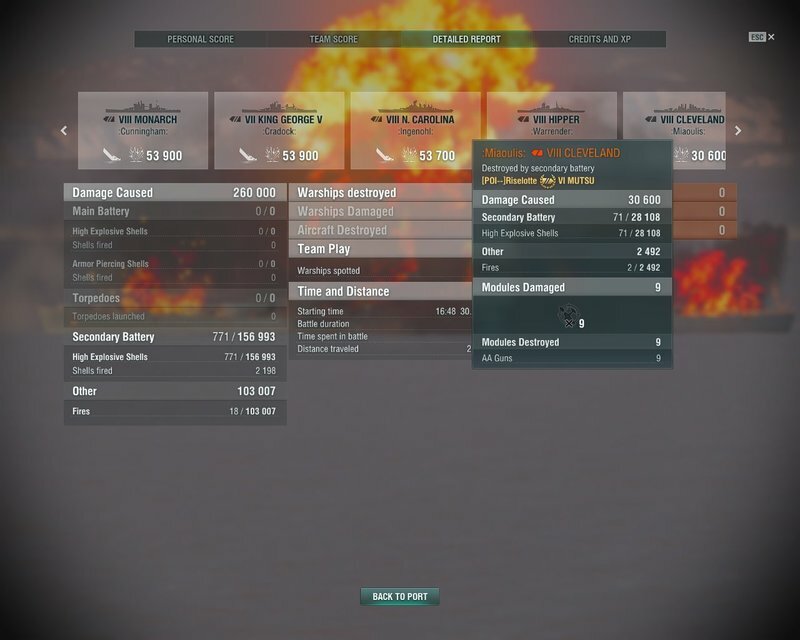 Note that the number of fires is pretty comparable to Mutsu, even though I deleted half the Montana with main battery. 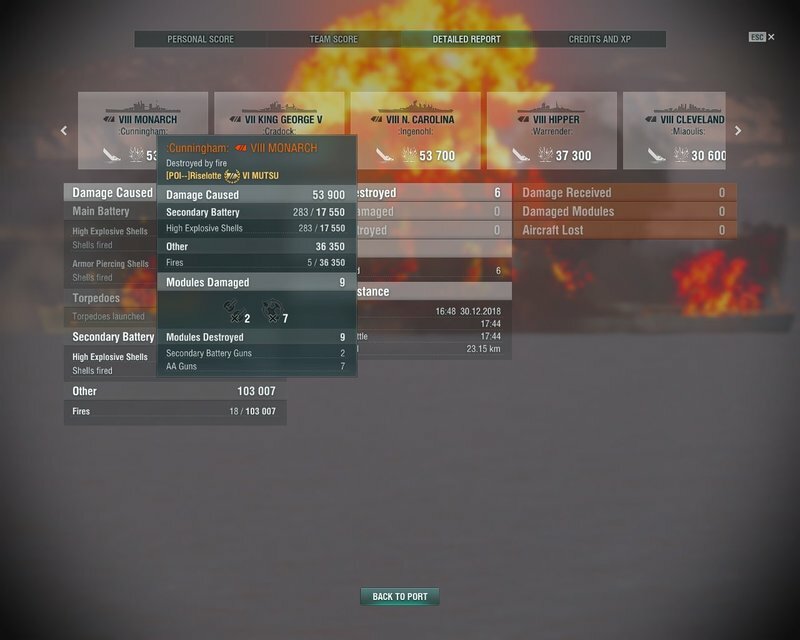 Damage per shell hit is piss poor. 47 on the Montana. Mostly because most hits are 10.5 cm guns that don't even pen superstructure. I'd disregard the number. 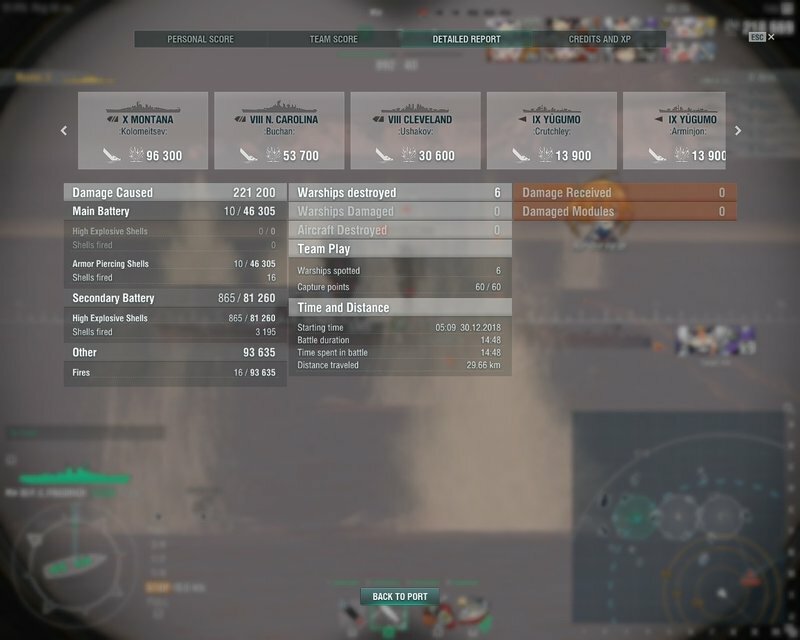 Vs DDs, unsurprisngly, the PEF took a bit more time, as the Mutsu just has more and meaner guns for that. Shell hit numbers here too get inflated by the 10.5 cm guns though and for one Yuugumo because saturation set in, so I moved a bit. I seem to have forgotten the Benson. 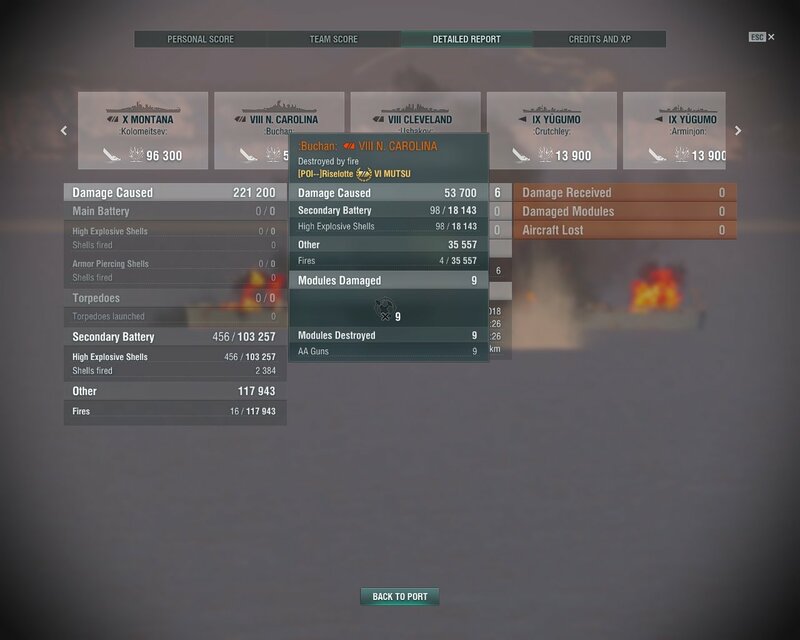 Personally, while it took quite long to sit through this and it isn't the most scientific testing method, I find the results interesting, as it showed that the 14 cm guns are not completely useless. They are definitely not worth a lot, but their ability to shred DDs that rush or to set fires could be quite nice. Sadly, with 7.5 km range at T8, at such ranges you likely aren't hoping just for fires but want the target to die fast. Proper secondary ships with 11+ km range, especially tanky Germans have far less issue trying to engage in a bit of a stand-off and using the secondary fire to harass ships. I cannot foresee that to be the case with Amagi or Kii. Not often. On the other hand, if these secondaries would have the range necessary, they could act like French as decent firestarters. I'd expect a bit of a drop-off in ballistics, but still better than a good few other secondary guns. They also reload in 8 seconds stock, which isn't too terrible (7.5 seconds on German 15 cm, 8 seconds on the French 152 mm guns at T10, 12s at T8). Provided there's a respectable number of them (Kii for example got gutted in that regard, which meant secondary-wise it was worse off prior to the 10 cm buff), they could be decent harassment guns. 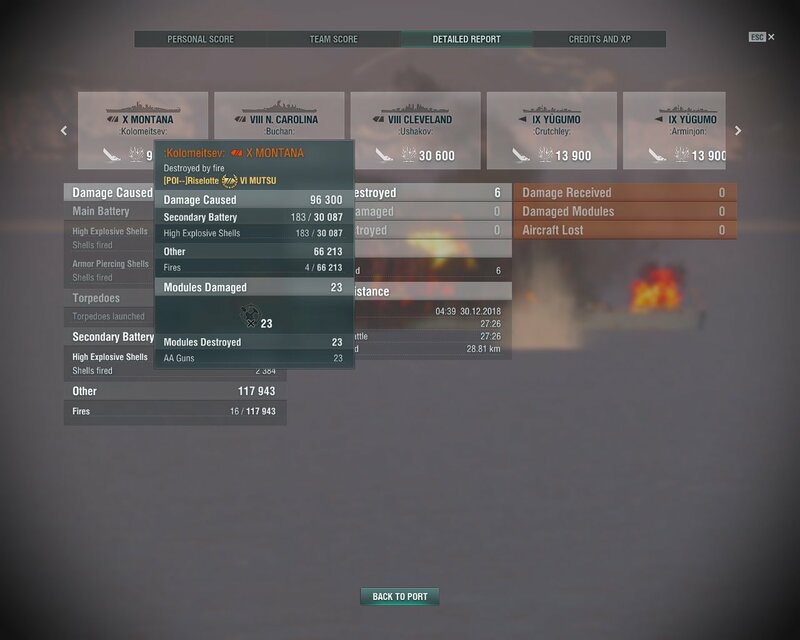 Obviously, they are not the showstoppers that you find on Gneisenau, Kurfürst or Massachusetts when up against lower tiers. With Manual Secondaries, they could be against DDs, maybe. Here the main issue I would foresee is that Mutsu at least had 10 of these per side against stationary bots. Having 7 per side vs a moving player is a different story. Even with Manual Secondaries, it could be questionable and it raises the question, is this ever worth 8 points. 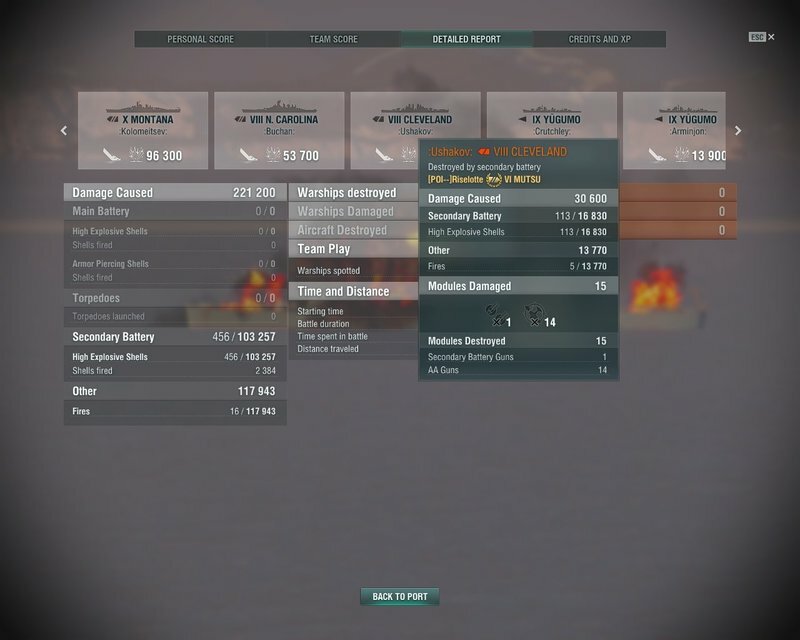 One thing about 7.5 km max range, after all, is that even with only AFT, the hit rate is decent and 4 points in AFT are easily justified when I just use one captain for Amagi and Kii. I might test the whole thing with IFHE (Just slap Mogami captain on Mutsu and Kii). But an 18 point secondary spec is already painful on a Kurfürst. Putting this on an IJN BB with its concealment value and 32 mm plating is likely not that much fun, only to get 7.5 km out of it. Honestly, I wish there was an IJN ship that had actually worthwhile secondaries past T2, but it seems to not be the case. 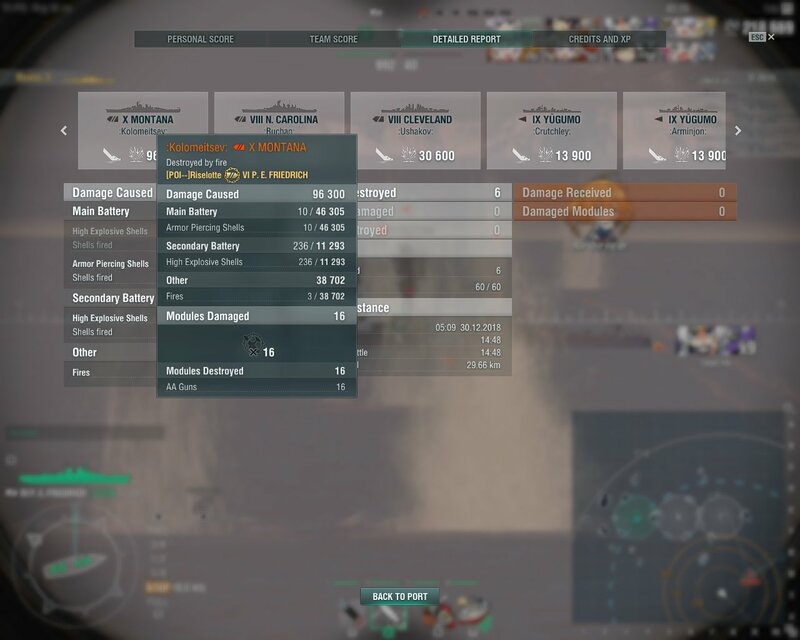 And I kind of want to get Amagi again, but while the ship is certainly good, I own my Kii and I sold Amagi because it basically is the same experience of mid-range 10 gun action. Just a bit better in gunnery and less AA. And no torps. 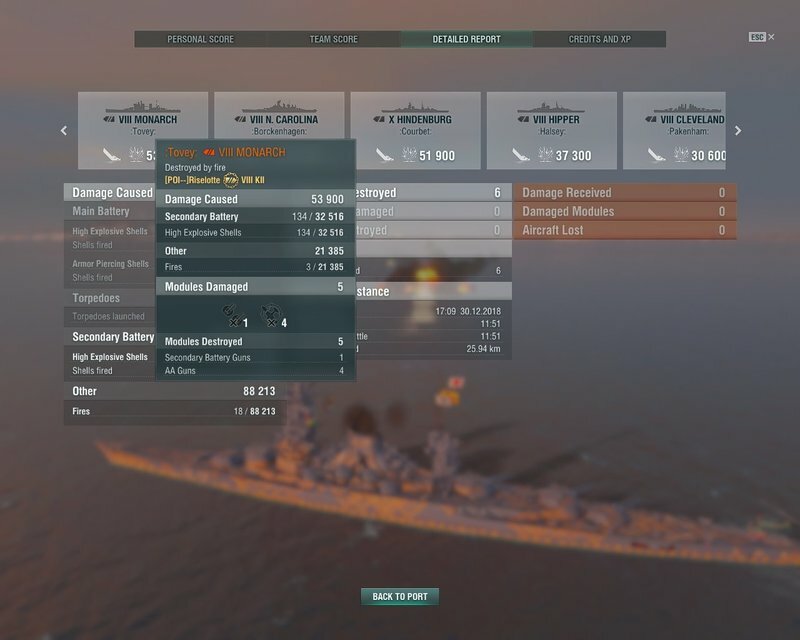 Does anyone have any experience with those secondaries in randoms? Alright. 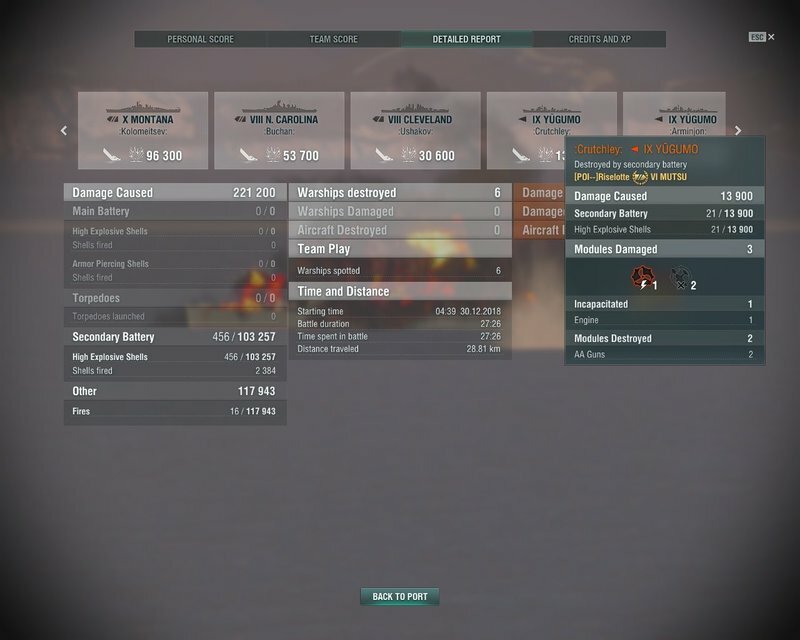 Tested with IFHE, just to see what it does. 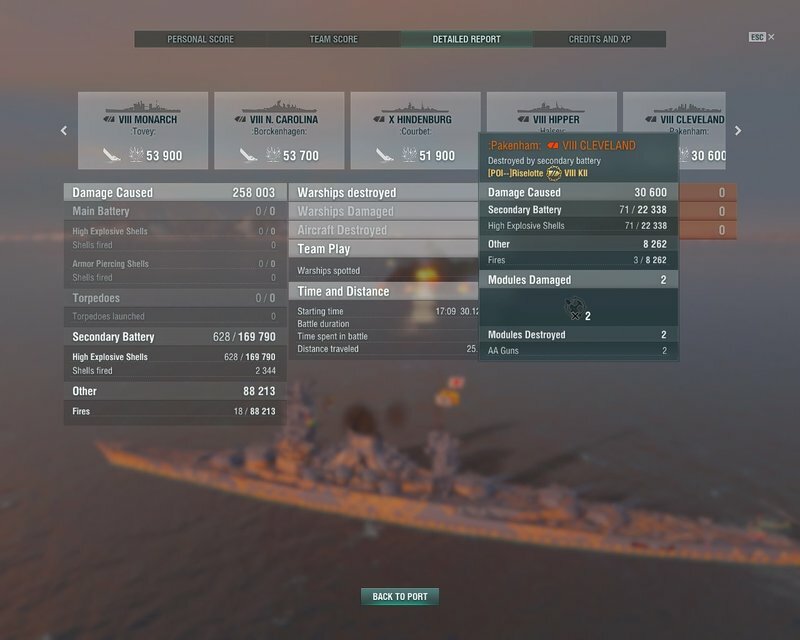 On the 14 cm guns, the results are pretty decent against cruisers and mid-tier BBs, but on the Kii... The ship actually would make a superb secondary platform if it had decent range. It has great angles on its 10 cm guns that can fire forward with all guns while still being angled enough to autobounce. 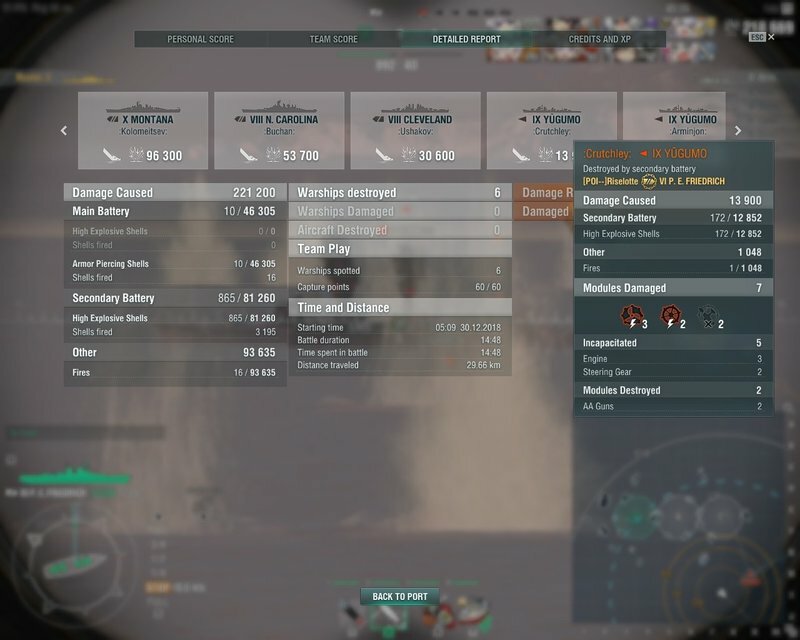 And the dpm is no joke with IFHE. It has great angles on its 10 cm guns that can fire forward with all guns while still being angled enough to autobounce. Well, 3/4 can be kept firing that way. Which still is a good amount of firepower. Sadly, after tanking a few AP salvos like that, I lost a good bit of my secondary firepower on that side. The survivability on those mounts is pretty lackluster.